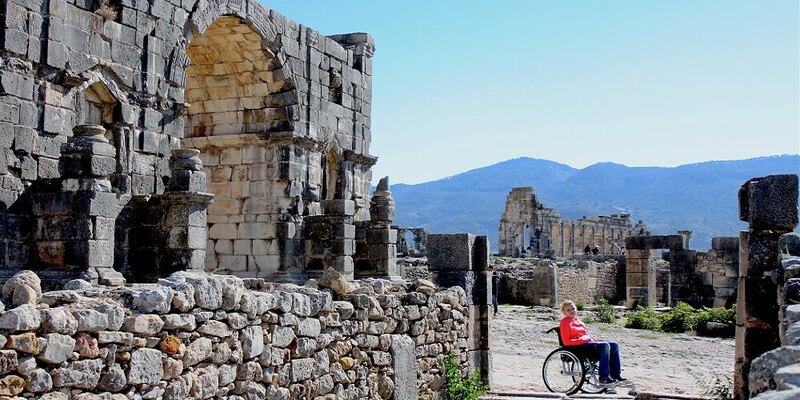 Nestled on a sunny hillside among the olive orchards and wheat fields, about 70 kilometers from the city of Fes, lies what remains of the ancient Roman city of Volubilis. This 2,000 year old city boasts magnificently preserved mosaics and classic Roman style architecture. 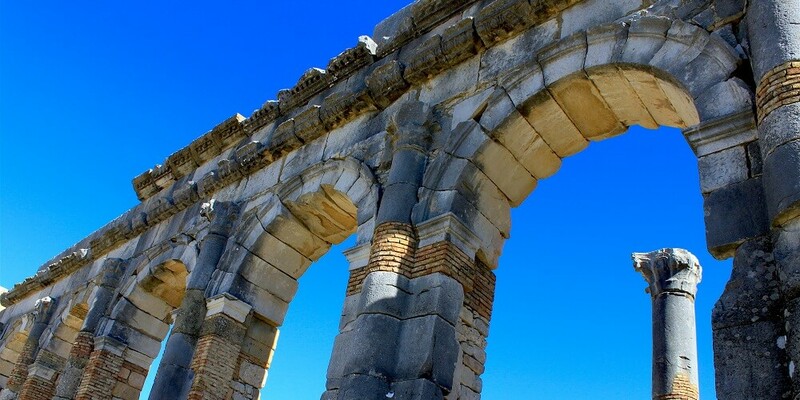 Built by the Romans between 30BC and 40BC, Volubilis was the farthest western outpost of the Roman Empire. The site is currently being excavated but it is open to the public and the ruins make great backdrops for aspiring photographers! The path of travel is rough but passable in a manual wheelchair. May be possible in a rugged power wheelchair. We recommend manual wheelchairs and assistants. Our guides will choose the appropriate path of travel in order to minimize barriers. 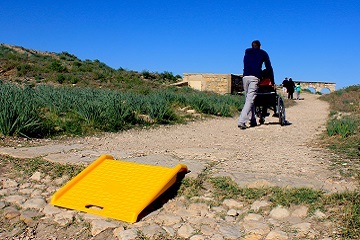 Since Volubilis does have rough paths of travel and can be a challenge to navigate a wheelchair by yourself, we recommend a pushing assistant for your visit. While it is definitely possible for a family member to provide pushing assistance through the ruins, it is nice to give them a break while on holiday or vacation! Trained assistants are available to hire through Morocco Accessible Travel Consultants. Let us know if you are interested in booking a pushing assistant to go with you through your tour to make this experience even more enjoyable! This excursion is approximately 3 hours long. Driving times will vary depending on departure location.